Join in the dancing and be dazzled by the critically-acclaimed and wildly funny musical Priscilla this September! The Olivier and Tony Award-winning musical Priscilla Queen of the Desert rolls out in Hong Kong this September. 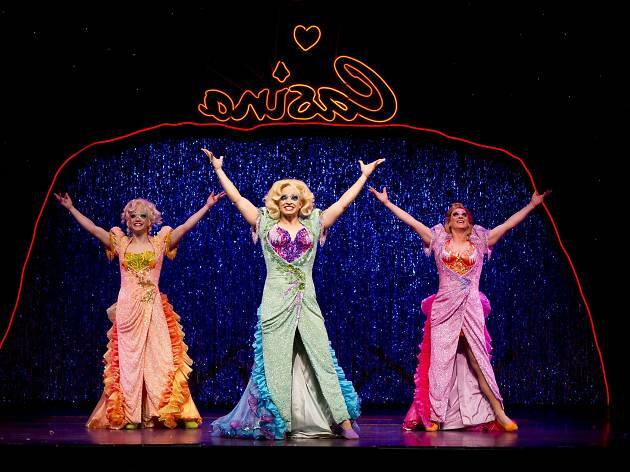 Based on the Oscar-winning hit movie, the musical is a uplifting tale following three friends as go on a road trip to perform as drag artists at a casino in the heart of the Australian outback. Featuring more than 500 costumes and dazzling sets, the hilarious musical will have you out of your seats and dancing throughout the production with hit numbers like Girls Just Wanna Have Fun, I Will Survive and Shake Your Groove Thing. It's a perfect night-out for the ladies!